Combine your passion for people, management and�outdoor�education and join�Bindaree's�growing and passionate team of�outdoor�professionals. Bindaree is seeking an exceptional and experienced outdoor professional with proven management experience and high attention to detail to join our passionate, dynamic, fun and skilled team. A wide range of outdoor activity qualifications, experience and competencies. Extensive program planning and management experience. Extensive knowledge and experience in a wide range of Victorian regional areas. Business and team-oriented management experience. Extensive experience in program logistics. Excellent people skills and experience in managing field-based program teams. Extensive computer and reporting skills. A proven ability to self-manage their own time, priorities and outcomes. A proven record in activity and program safety, remote setting first aid, emergency responses and risk management. A proven record of record keeping, written reports, assessments and recommendations. To work in partnership with client school staff to achieve a set of agreed educational outcomes. To oversee the Bindaree staffing team to ensure the safe and effective conduct of all aspects of each program. 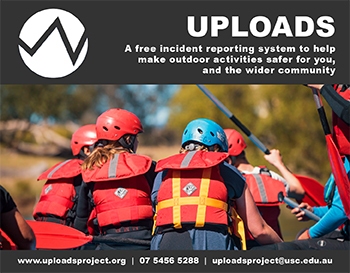 To oversee the delivery of a range of outdoor activities and services to enable each client school/group to fully achieve their stated program rationale and meet all expectations. To complete each allocated task schedule under the direction and assistance of the Bindaree Operations Manager. To complete all resource, catering, logistics, activity and external provider planning for each program. To oversee the effective communication and support of each client school/group to understand the key educational outcomes through the implementation of an individualised program creation. To work within the Bindaree team to review and implement outdoor experiences that fully reflect the highest company and industry standards of safety. To fully support and assist all groups within a school�s community - student, staff and parents, through information booklets, briefings and presentation sessions. Be fully responsible for the final planning and implementation of all program documentation, orders and logistics. To undertake work on the factory floor as required in relation to packing and returning of program resources, catering and equipment. To undertake a range of outdoor related management tasks that suit your experience and expertise. To undertake additional business management and office-oriented training with the expectation of taking on more senior management roles within the company into the future. To oversee the purchase, storage, maintenance and preparation of a specialised activity resource area. The development of new program opportunities within existing client and new client groups. To work closely with and support the Bindaree Outdoor Education, Camp Toolangi and Operation Managers. To support the Staffing, Risk and Resource Managers as required. To become part of the Program Contact Recorder team once inducted and ready to do so. This program management role is a Full-Time position with a generous remuneration rate, employment and leave conditions.